Effects of Sydney chiropractic treatment on blood pressure and anxiety: a randomized, controlled trial. Subjects were randomly assigned to one of three treatment conditions: active treatment, placebo treatment, or no treatment control. The adjustments were performed by a mechanical chiropractic adjusting device. Dependent measures obtained pre- and post-treatment included systolic and diastolic blood pressure, and state anxiety. Results indicated that systolic and diastolic blood pressure decreased significantly in the active treatment condition, whereas no significant changes occurred in the placebo and control conditions. chiropractic treatment. Further study is needed to examine the long-term effects of chiropractic treatment on blood pressure. Since your immune system is regulated by your nervous system, an interference within the nervous system (Subluxation) will cause an interference with your immune system. Research has measured the effect of chiropractic treatment on the levels of the bodies of the immune defenses, the immunoglobulins. These immunoglobulins, IgA, IgG, and IgM were elevated in 3 out of 4 adults after two weeks of chiropractic adjustments. A significant increase in B-lymphocytes was also noted in five of eight patients after receiving chiropractic adjustments twice a week for four weeks. Your body is constantly in contact with germs in the environment such as viruses, bacteria, parasites, etc. But oddly enough, one must ask why our entire community does not become ill when flu season hits. Maybe it’s due to the fact that some people’s immune systems are stronger than others. Chiropractic can help strengthen your immune system by allowing proper nerve impulses to flow uninterrupted to allow your immune system to function at its optimum level and help combat against viruses and bacteria. 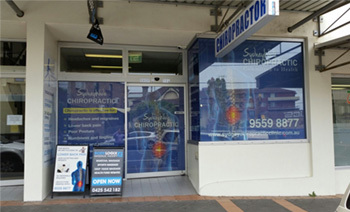 If you suffer from headaches, the Marrickville Chiropractor or Double Bay Chiropractors spinal checkup is one of the best things you can do. Chiropractic’s safe, gentle, and drugless methods have helped millions of headache sufferers over the years. However, the most common headaches are usually treated with painkillers. The hundreds of millions of dollars spent each year on everything form aspirin and Tylenol to prescription drugs may provide relief, but please remember-the pain may be gone but the cause of he headache is not corrected. That’s why we may see millions of people swallowing pills for years, possible suffering from the side effects of long-term medication-and not getting any better, only temporarily felling better. Surely, that’s not a healthy way to live. But many are turning to the natural, drugless chiropractic approach to health. Sydney Chiropractors are the only healing professionals who are trained to analyze and correct the vertebral subluxation complex-a spinal distortion that can cause headaches. Researchers have often noted the relationship between the spine and many types of headaches. Fore example, one study of 6,000 long term (two to 25 years) headache sufferers revealed that neck injury (whiplash, falls) was the most important factor in the cause of the headache and should be suspected in every nonspecific case of headache. For over one hundred years, Chiropractors in Sydney have observed an intimate relationship between the spine and headaches. If you suffer from headaches, make sure your spine is aligned -see us today. About 80% of the population will experience disabling low back pain at least once in their lives. Sydney Chiropractors have helped hundreds of thousands of people with low back problems, often saving them form pain, disability, drugs, and surgery. In fact, according to the NSW government (Agency for Health Care Policy and Research), Spinal Manipulation (Chiropractic adjustment) is recommended for non-specific low back pain in adults. Chiropractic care costs less and results in fewer lost workdays. The foundation for normal spinal posture is laid out early in life. Improper development of the spine’s normal curvature will set the stage for eventual distortions. If the base of a child’s spine is tilted incorrectly, it can wreak havoc with the structures that build upon it. Normally the human body attempts to maintain erect posture by balancing back and forth over the lower spine. If the lower vertebra are wedged to one side, it can cause the spine to compensate by bending into an abnormal curve. This condition is commonly referred to as scoliosis. The medical approach to scoliosis has been to administer braces and electrical stimuli; neither of which have been proven to be very successful. Any child suffering from poor posture and/or scoliosis should be thoroughly analyzed by our Chiropractors at Marrickville or Sans Souci for correcting the vertebra subluxations that may be causing the problem.